There are almost 5 million dog bites per year and more than half of the victims are children – most of them are bitten in the face by the family dog or a friend’s dog. Dog bites cause losses that exceed $1 billion per year. Please don’t delay in getting help if your dog is displaying aggression toward family members, strangers, or other dogs. Even if you feel that the problem is minor at this point, I urge you not to underestimate the potential consequences of your dog’s future actions. Aggression will often escalate over time if not handle properly. 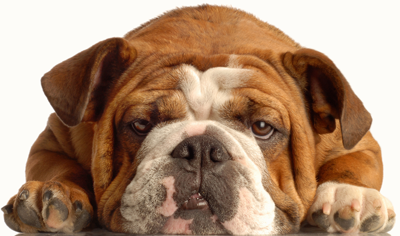 Punishing a dog that growls or snaps often leads to bigger problems down the road. When dealing with aggression, you need to use a psychological approach, not a physical one. As a behavior counselor, I begin by discussing the situation with all of the family members. During our consultation, I will gather a history of the dog’s behavior and observe the dog to determine the probable cause for the aggression. If necessary, we will check with your vet to determine if any medical conditions might be influencing the dog’s reactions. A management program will be recommended to help insure everyone’s safety while we work to modify your dog’s aggressive behavior. I will also explain how to read your dog’s body language to help you better predict an aggressive display. Then I will customize a behavior modification plan for you and your dog. We will use the principles of classical conditioning to help change your dog’s emotional state and operant conditioning to teach your dog a more appropriate response. Positive reinforcement based dog training will be used to help direct your dog’s actions. I have helped many owners who were stressed by their dog’s aggressive behavior. Don’t hesitate to call me to find out if I can help you with your particular situation. Dog Training and Behavior Modification in homes throughout Bergen County, NJ. ©2009 Second Chance Dog Training Services, Inc.